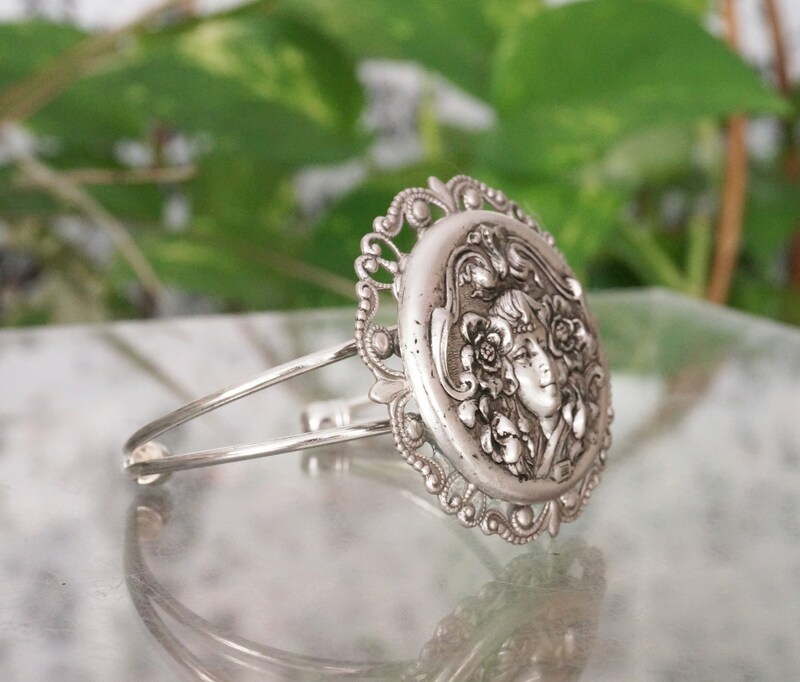 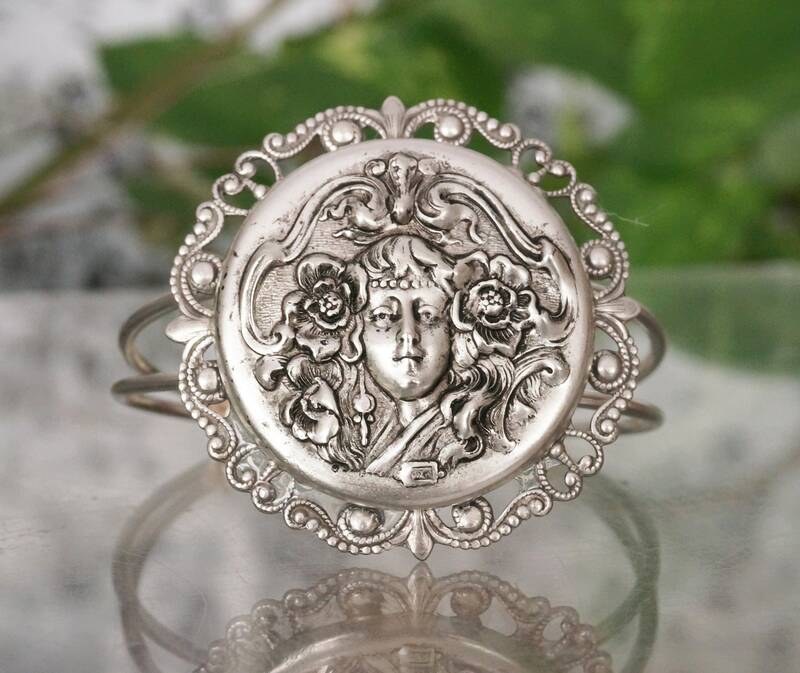 Here you have an Art Nouveau style antiqued silver cuff bracelet. 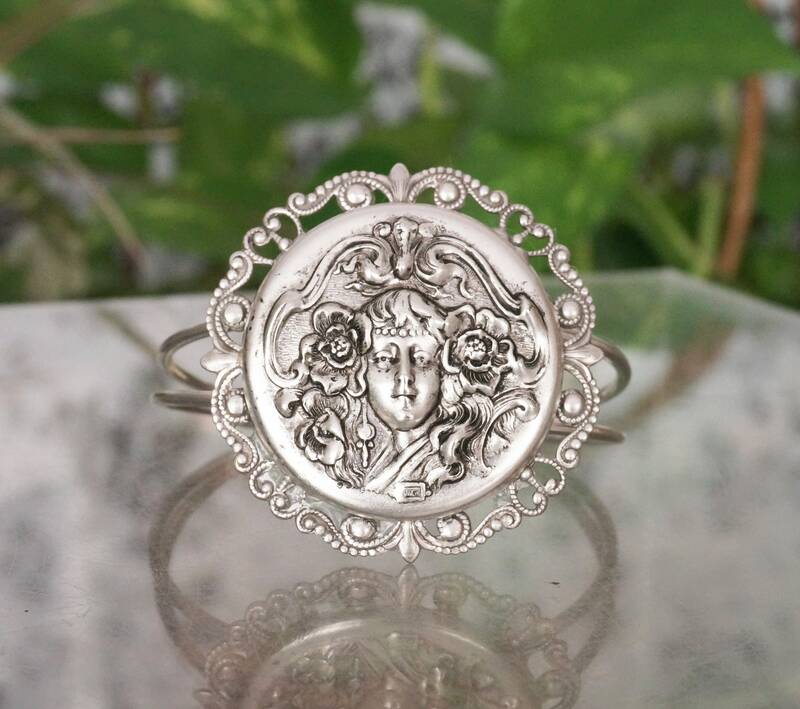 The repoussed maiden cameo is mounted on a filigree stamping, measuring close to 2 inches. 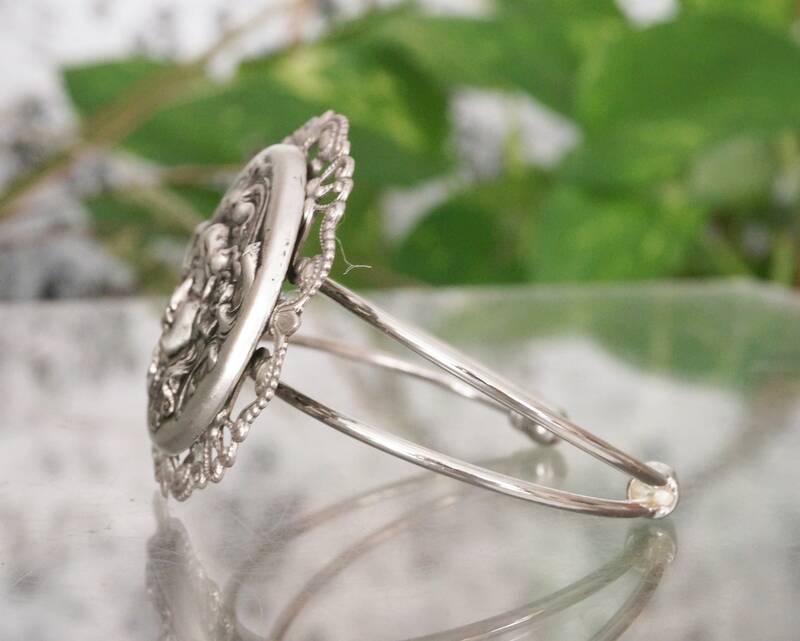 The cuff is silver plated.